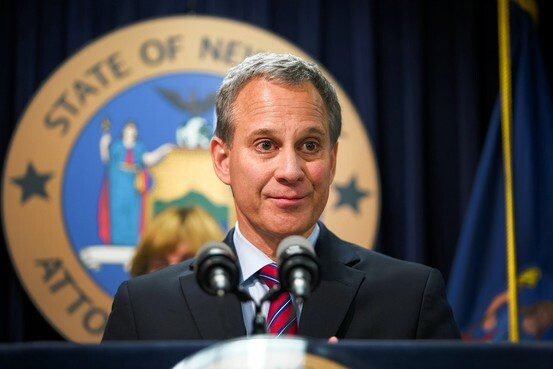 As part of an ongoing effort to protect cryptocurrency investors as well as bring better transparency into how cryptocurrency exchanges operate, New York Attorney General Eric Schneiderman has sent letters to thirteen digital currency exchanges requesting they disclose important info about their operations. “With cryptocurrency popularity on the rise, the consumers in New York and across the country have a right to transparency & accountability when they invest their money,” the attorney general said in a statement dated April 16, 2018. This letter was part of a “Virtual Markets Integrity Initiative” launched by New York Attorney General Eric Schneiderman to evince the policies and practices of platforms used by consumers to trade digital currencies and initial coin offering (ICO) tokens. In addition to the aforementioned letter, the attorney general sent a three-page questionnaire to Coinbase, Poloniex, Gemini, Bitfinex, and nine other exchanges asking them to disclose, among other things, info such as what banks they use, how they hold customer monies, what fees they charge customers, how they come up with those specific fees, how they move funds around, who has access to their order books, and the full scope of third-party audits. In the U.S.A, cryptocurrency regulation is becoming a difficult web to untangle for some companies trying to do business in the arena. Not only do cryptocurrency businesses and virtual exchanges have to deal with federal regulators like the Securities and Exchange Commission, Financial Crimes Enforcement Network and the Commodity Futures Trading Commission (CFTC), but they also have to contend with regulators in each of the fifty states. Stephen Palley, an attorney in Washington D.C., well known for his work in the cryptocurrency space says he is not surprised to learn of the New York attorney general’s move. At the same time, he views it as a bearish sign of what is to come. “This is just the beginning. There will be a major onslaught. It will shut down or shut out a bunch of exchanges from the U.S.A,” he commented to CBNN. In a recent tweet from Stephen Palley he referred to Eric Schneiderman as an activist and further noted,“Being in his cross-hairs isn’t such a great thing.” We will have to wait and see.